China based songstress, Ccicci of the Masorry fame, said the Zimbabwean music industry is not as smooth as in other countries. The musician who is currently under Dreamstar’s art programme in the Asian country noted that there is need for musicians to always have a backup plan to get by financially. Ccicci (pronounced Chichi) whose real name is Noreen Chido Gwagwagwa Dhlamini has been in the music industry as back up vocalist for a long time but released her first solo project earlier this year. “Right now music is my full time but it’s not always going to be like that because after I graduate I plan to work as chemical engineer. “One can see the difference in terms of the amount of money a person earns when they are into music in Zimbabwe. “I feel like our music industry cannot really stand on its own, every time someone is in the music industry they always have a backup plan because it’s not the easiest. “We work hard to get to certain levels although it doesn’t pay off as much as it should but generally Zimbabwean artists are talented and they put in the work, maybe one day it will pay off,” she told H-Metro. The 26-year-old who has been performing around China and working on new music whilst waiting for her graduation scheduled for October said she cannot wait to come back home. She admitted that the Masorry video is long overdue but assured that it will still be released. Ccicci added that as a female artist there is a lot of stereotype and a need to be sure of who you are. “It’s great being a female artist; you can be a voice in so many ways. “Your perception of yourself does not need to fit into that stereotype that everyone has of you,” she said. 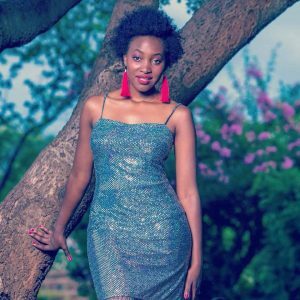 Ccicci believes that being a backing vocalist for Janet Manyowa, Tamy Moyo, Plaxedes Wenyika among others gave her an insight on the life of artists and equipped her fully into launching her own career.